Here at Sake, the freshest fish available come to your plate and palate to provide your taste buds with enchanting flavors. We carry an excellent selection of fresh seafood which is carefully prepared by our experienced sushi staff to deliver old-school sushi or new-age dishes which mingle unique flavors with seafood to create contemporary dishes. Our grill is also hot ‘n ready to go with an excellent selection of cooked chicken, steak, seafood, noodles, and many other lovely entrees. Service and quality is what we do best here at Sake - Sushi & Grill in Schaumburg. For special offers, promotions, coupons, and birthday specials! 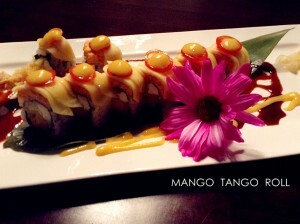 Shrimp tempura, cheese topped w. salmon & white tuna then baked w. special sauce. 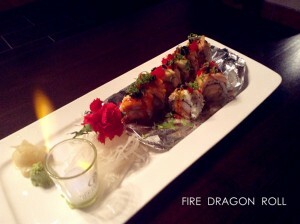 Shrimp tempura, cucumber, cream cheese roll topped w,. lobster, salad mango tomato eel sauce. Mango sauce. 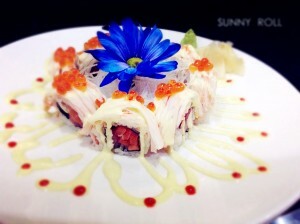 Salmon, tuna, yellowtail roll topped w. crab ikura in a wasabi mayo sauce.